Buy online our clothing and fashion fabric Geometrico Ciniglia P02-01. 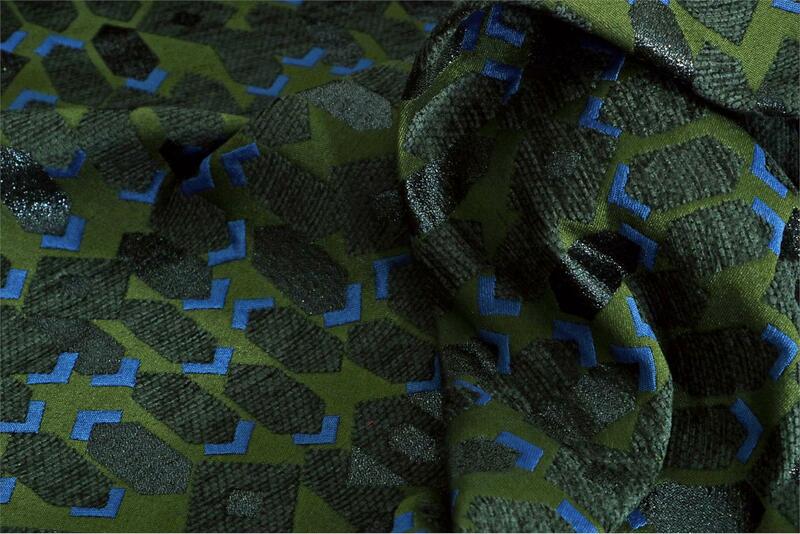 Green jacquard fabric with a combination of geometric chenille details and black and blue lurex shapes. Suitable for jacket and duster. Black, Blue Mixed Geometric Jacquard fabric for Jacket, Light Coat.